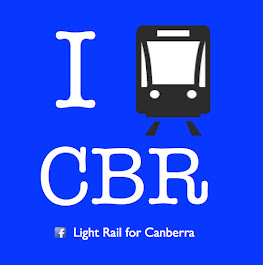 Canberra Liberals MLA Alistair Coe struggled to explain the reasons for opposing light rail in an interview with ABC Canberra's Virginia Hausegger during the week. The Canberra Liberals have isolated themselves politically on yet another policy area, with Liberal Prime Minister Malcolm Turnbull endorsing the ACT Governments taxation reform on stamp duty elimination on the ABC Insiders program. Phasing out stamp duty was another policy (along with light rail) that was supported by the electorate at the 2012 Assembly election. Ratepayers of Tuggeranong - so let down by the major parties. We'll be paying for this tram for decades to come, stalling forever any major capital expenditure in the southern townships. 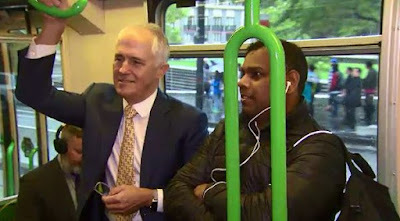 Even though the trams doesnt go to Tuggeranong doesn't mean the jobs wont go there. it will come to tuggers if the geriatric crazies opposing light rail turned their efforts to asking for it to come to tuggers.